A few weeks ago I made muffins and cupcakes for a Tiffany & Co. bridal shower. These were so much fun to make! I surfed around and used both a Tiffany's bag and the website for the teal colour and I think I got pretty close! 1/3 of the cupcakes were decorated with fondant rounds, swirls, and pearl edible beads. 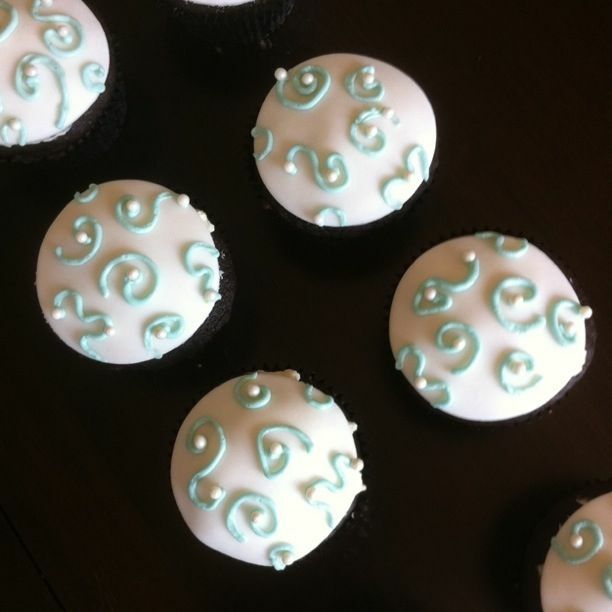 1/3 were decorated with teal swirls made with a Wilton 1M tip and the pearl edible beads. The remaining 1/3 were decorated with teal swirls, also made with a Wilton 1M tip, and topped with white fondant bows. 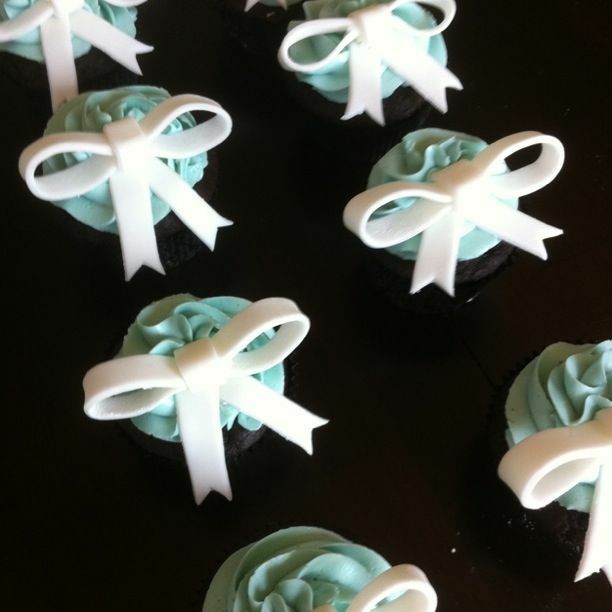 I think I hit the 'Tiffany blue, bows, and pearls' requirement! These were an absolute blast to make, and I am still so excited with how they came out! Most of these pictures were provided by the lady who organized the bridal shower, thank you so much for providing these pictures! 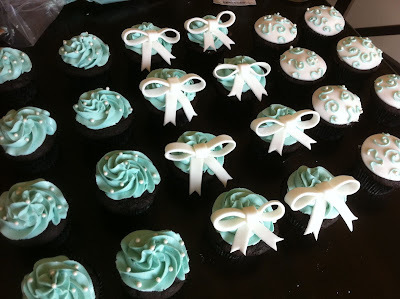 Here are the cupcakes (above) with the Double Chocolate Muffins (recipe to come!) and the Lemon Blueberry Muffins I had also made for the shower. 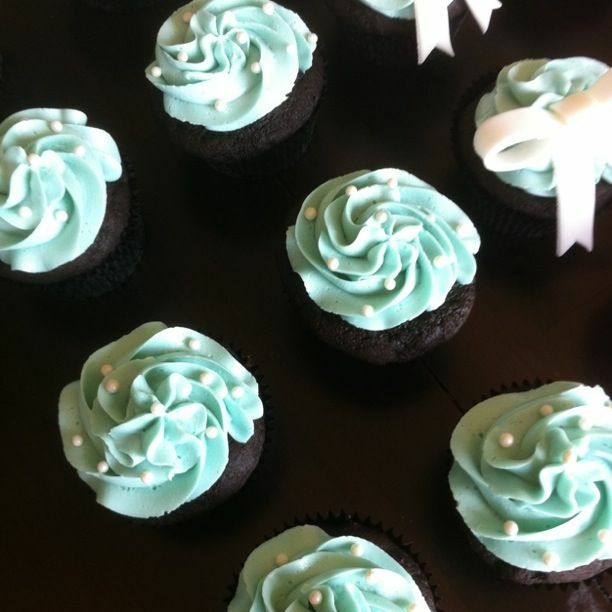 Does a Tiffany's Baby Shower mean that every guest has to bring diamonds and other shiny thing? Sign me up for one when I have a baby! 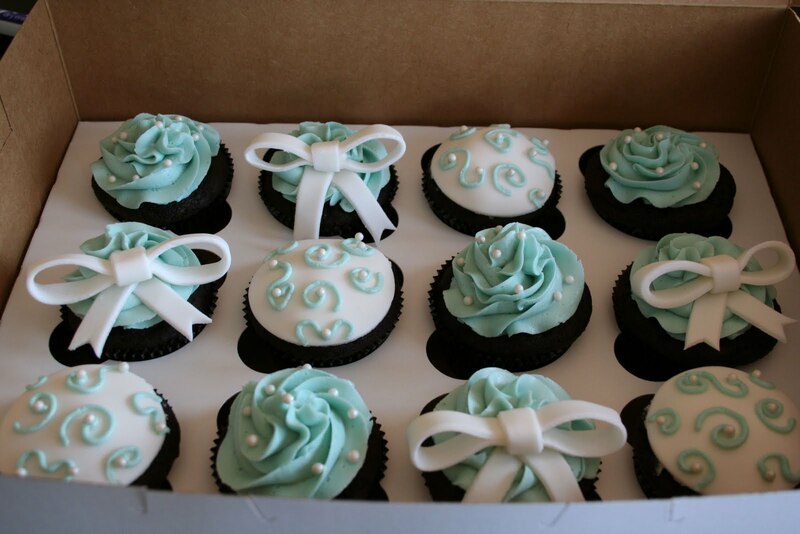 Those cupcakes, btw, you are so talented darlin! Hi Rachel! thank you!! i am seriously in love with this colour now, so pretty!